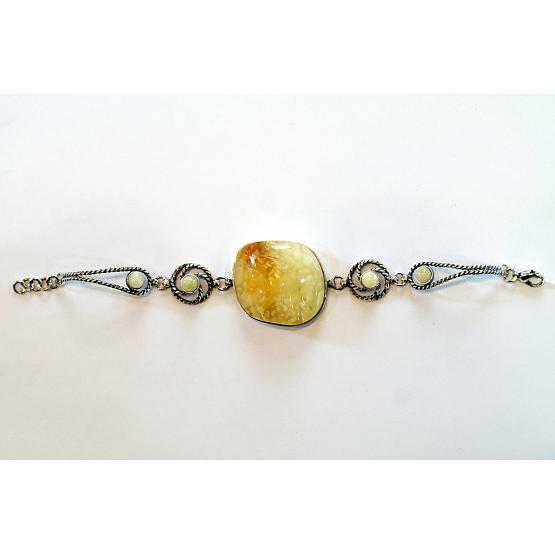 Sterling silver bracelet enclosing natural Baltic butterscotch amber. Each stone is unique due to amber's organic origin and may contain inclusions. For this reason, shape and color may vary. This is a truly special piece for anyone wearing jewelry. Ships from Europe within 5 business days.